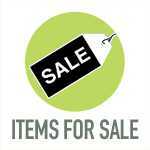 SALE: Oman Mini Storage, Unit #14, contents unknown, Marie Waldsmith, April 27, 2019 at 8:00 a.m., 23438 Hwy. AA, Richland Center, WI 608-475-0503. SALE: Oman Mini Storage, 23938 Hwy. AA, Richland Center - contents of #5 Todd Catherell, #40 Kathy Burrow. Contents unknown. April 20, 2019, 8 a.m. 608-475-0503.